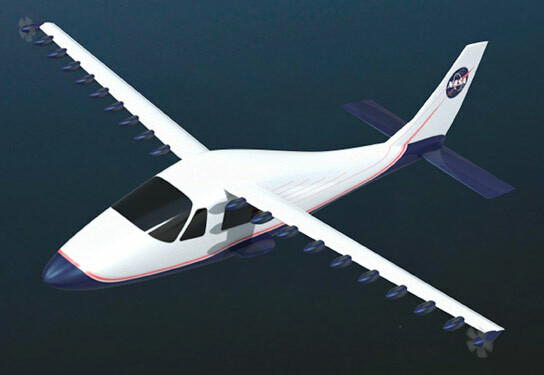 Within a few years the NASA hopes to fly a piloted X-plane, replacing the wings and engines of a Tecnam P2006T with an improved version of the LEAPTech wing. Using an existing airframe will allow engineers to compare the performance of the flight demonstrator with that of the original P2006T. Over the next several months, NASA researchers will perform ground testing on the electric propulsion technologies from the Leading Edge Asynchronous Propeller Technology project. 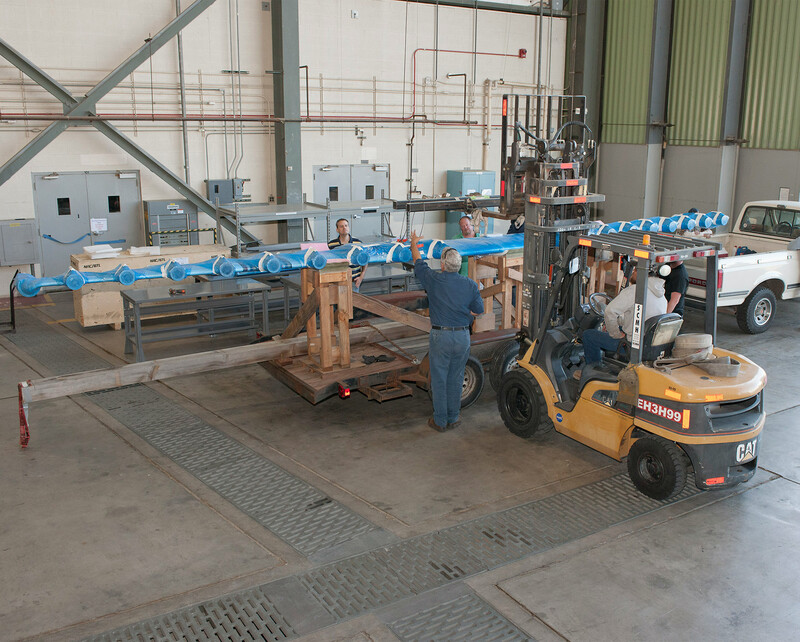 Technicians unload the LEAPTech experimental wing upon its arrival at NASA Armstrong Flight Research Center. Ground testing will begin after the wing is mounted on a specially modified truck. Be the first to comment on "NASA Begins Testing Electric Propulsion Technologies"